ISRAEL. Jerusalem. 1995. 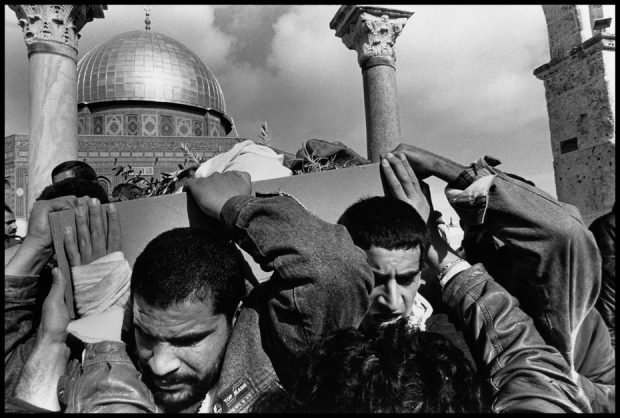 The body of a young Palestinian, slain by an Israeli private guard, is paraded around the Dome of the Rock before being buried.